Each of my songs is inspired by either someone I know or something that happened in my life that provides me with a message I want to share. Today I want to highlight the song “Life’s A Ride”. My first day at Paul VI high school I met an amazing young lady who has grown to be one of my best friends. She has a health condition that means she has to use a wheelchair. The way she approaches her life has taught me so much. She refuses to let the wheelchair define her or her life. She lives her life with joy and gusto and is one of the most positive life forces I have ever met. She has taught me that you can look past any burdens you face and see the blessings you are given. I love her dearly and she is the inspiration for my song “Life’s A Ride”. The title is a little bit of a pun, but the message is so important…..go live that life you were meant to live! Hope you check out the song! 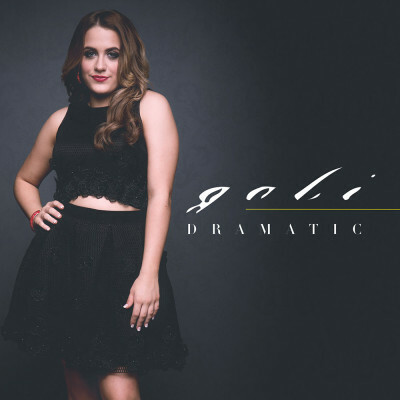 If you like it, it is up on iTunes under Gabi Ammirato album Dramatic. Thanks for all the likes, shares and LOVE!